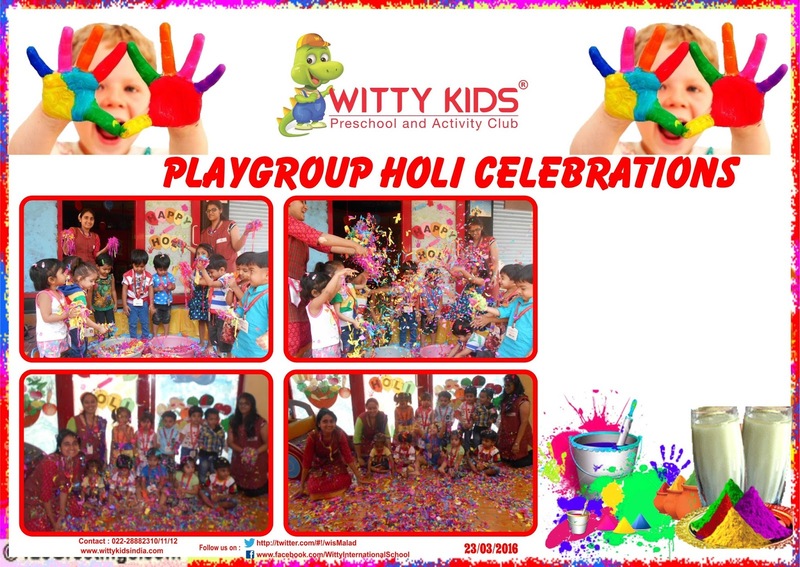 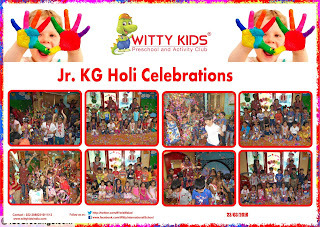 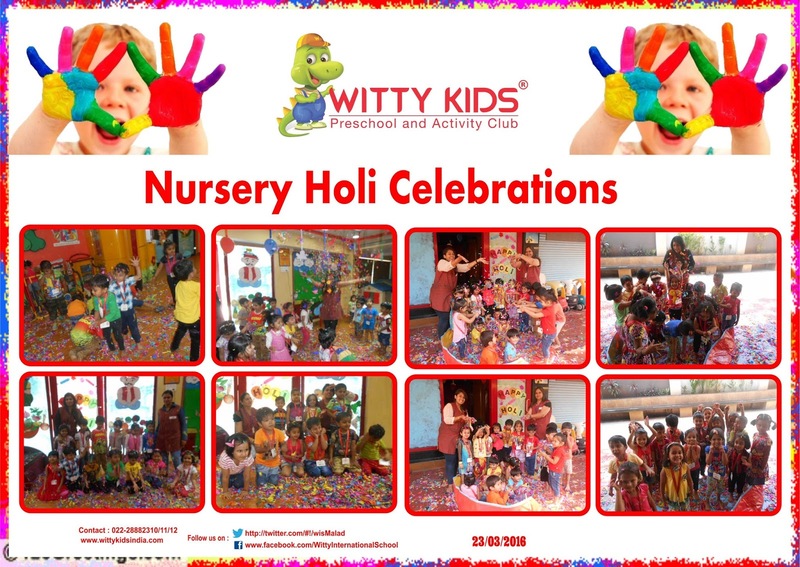 This year the Pre Primary section at Witty Kids celebrated ‘Eco - friendly Holi’ on Wednesday, 23 March 2016. Children brought shredded colourful papers to play Holi with their friends with the motive of Saving Water. 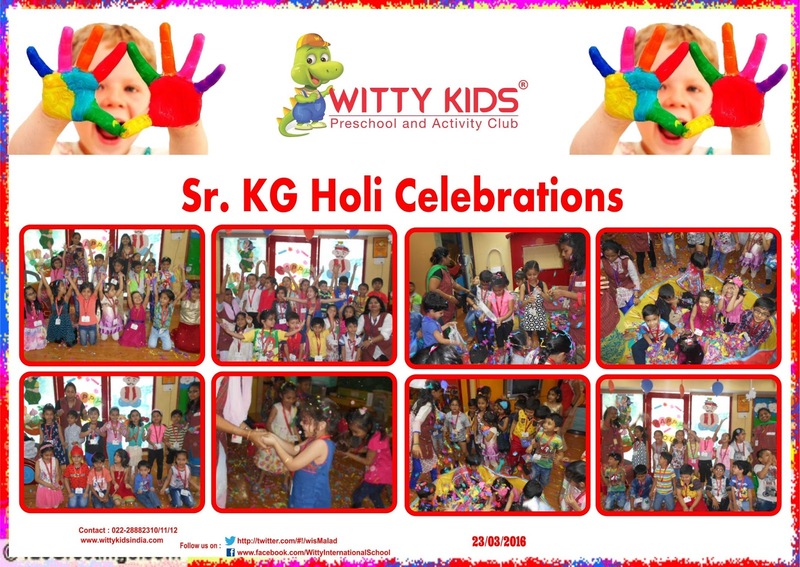 The concept of safe Holi was also presented to the children. 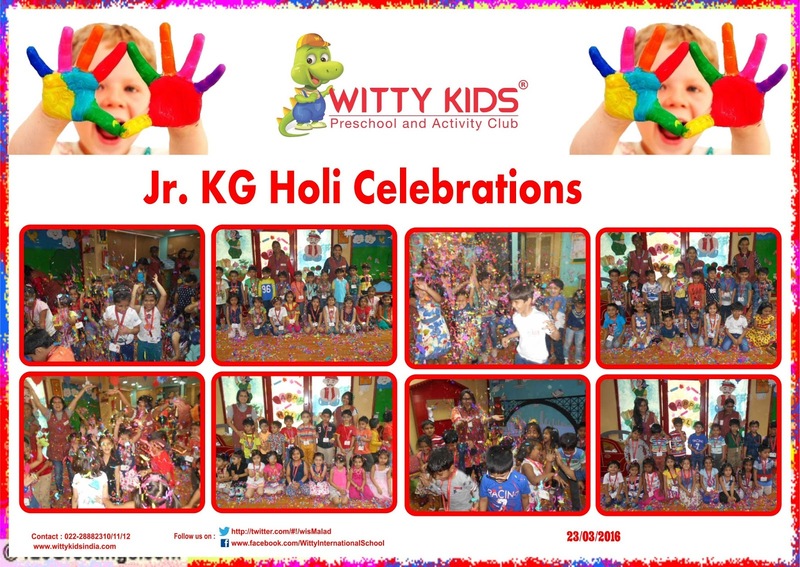 It was indeed a “learn with fun” day for everyone and a very joyful experience for the children.